Dawsonville, GA: “We love the cars, drivers, and more than anything else, the friendship of the Chin Track Day family.” Ron Zappendorf, CEO DiscoveryParts INC.
DiscoveryParts has supported Chin Track Days since 2005 and is the longest standing preferred partner. We have grown as Chin Track Days has grown and are thankful for the many years together. We have a traskside support division that brings the products you need to the track so you, the driver, can ensure you are getting the best fitting product that will also keep you safe. 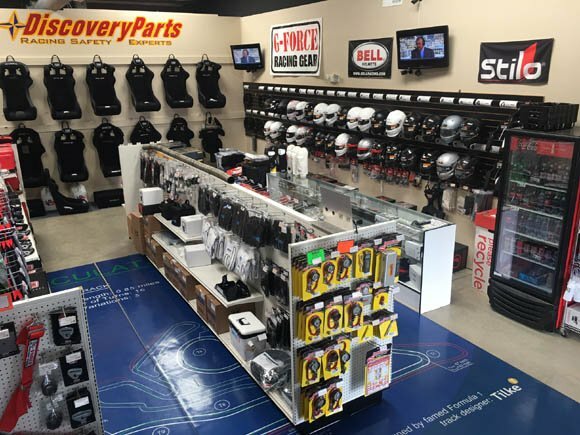 DiscoveryParts is a Veteran Owned automotive racing safety company located in Dawsonville, GA inside one of Georgia's most technical road course race tracks, Atlanta Motorsports Park. We have long been known for being “Racing Safety Experts” and we take pride in being a reseller of the best of the industry for both retail and wholesale. Founded in 2002 by a need to offer racers a wider variety of racing equipment, we have since grown to being a front-runner in our industry. Our company’s foundation is our extensive knowledge of racing. On that foundation are the building blocks of our success - honesty, courtesy, quality of service, and top of the line products. We know racing, love racing, and look forward to tomorrow. For more racing. Do you need to get outfitted for the season or test fit your next race seat? Stop in during our regular showroom hours OR call so we can schedule a personalized fitment appointment. 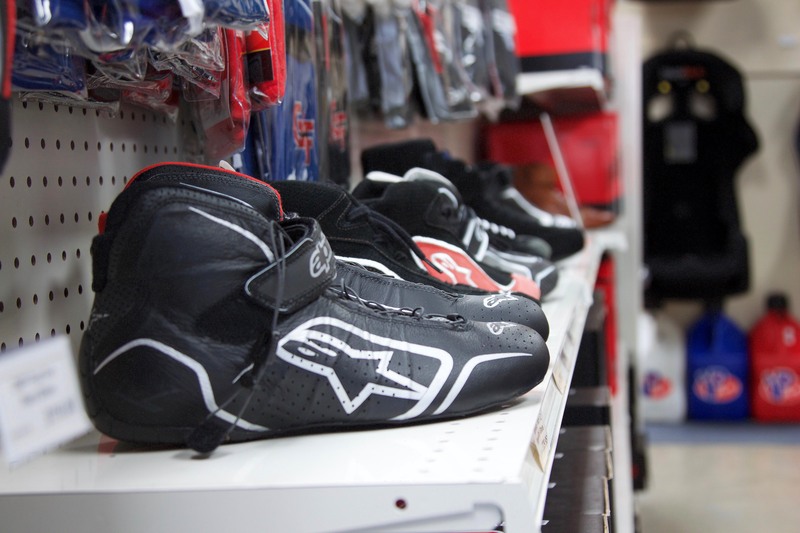 We stock your racing needs from head to toe (helmet to shoes) and everything in-between. Weekends: We follow the AMP race and Drivers education schedule. Contact us and we can confirm the hours for your weekend if they are not in your drivers packet. 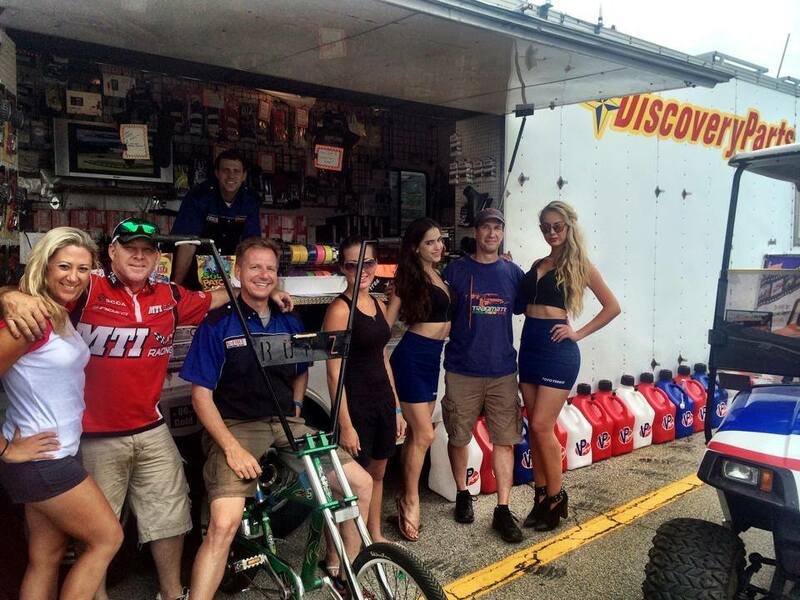 We are located inside Atlanta Motorsports Park. As you go past the front guard building, we are the building to your left and facing the front straight. We have more than enough parking for your car, trailer, RV, toter home, or complete race team rig with easy turn around for the largest of vehicles. We support many race and driver education series in the South-East. The DiscoveryParts Mobile Technology Center and the trackside team go to over 40 events per year to provide the latest in safety gear where you need it most, trackside. We offer a full range of equipment from price sensitive to what you see racing on TV on Sunday and everything in-between. DiscoveryParts Trackside is about customer relations and letting you, the driver, make the best choice, hands-on. Available Monday to Friday 10:00am-5:30pm EST. Monday- Friday at 1-888-748-RACE. All of our staff either has a competition license or is active in motorsports. From road racing our GT2 car to autocrossing, DiscoveryParts does it all. We also have race support trailers that go to events from Senoia’s 3/8 asphalt circle track in our hometown to American LeMans races like 12 Hours of Sebring and the Petit LeMans. DiscoveryParts will not trade, barter, sell, or rent any information about our customers. No restocking or exchange fees. We want our customers to be safe and have the exact pieces they want. We know how hard it is to find the exact fit for your helmet, suit, gloves, shoes, etc. We at DiscoveryParts will gladly refund any item up to 15 days from purchase and exchange any item up to 30 days from purchase if not special ordered. If you receive free shipping then return the item, you must pay for the free shipping you received. If you have any questions, please call any member of our sales staff @ 1-888-748-RACE. 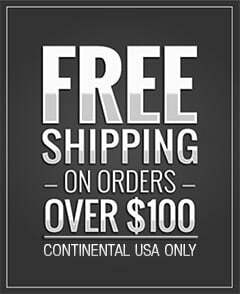 Any order to the contiguous 48 states that is $100.00 or greater will receive FREE ground shipping via ground. Not included are oversize items (some seats/fuel jugs) or if stated in the item description. 3 day, 2 day, overnight, and weekend overnight are available. Please call any member of our sales staff with any questions. 1-888-748-RACE. Alaska and Hawaii shipments: Additional charges apply and we will contact you with pricing and delivery options.